A policy might be acceptable and worthy, but often it is the effective implementation and monitoring that is lacking, the Court said. In yet another judgment concerning the issue of draught, the Supreme Court in SwarajAbhiyan – (IV) vs. Union of India has directed the Central and State Government authorities and the Reserve Bank of India and other banks to religiously implement their policies concerning issues regarding establishing fodder banks or restructuring bank loans. Division Bench comprising of Justices Madan B. Lokur and N.V. Ramana, stressing on ‘principle of continuing mandamus’ said that petition is not being disposed and is being kept open to ensure that the directions that have been given are complied with by the Government of India as well as the State Governments. The court has adjourned the case to August 1st for Union of India to file a status report. The grievance of the petitioner was that relief or subsidy is extremely low and only where the crop loss is 33% and above. They submitted that the amount should be realistic and there is no reason why an arbitrary figure of 33% of crop loss should be fixed and the relief or subsidy should not be only adequate but should also be given timely with the entire process being transparent so that there is no allegation of corruption. 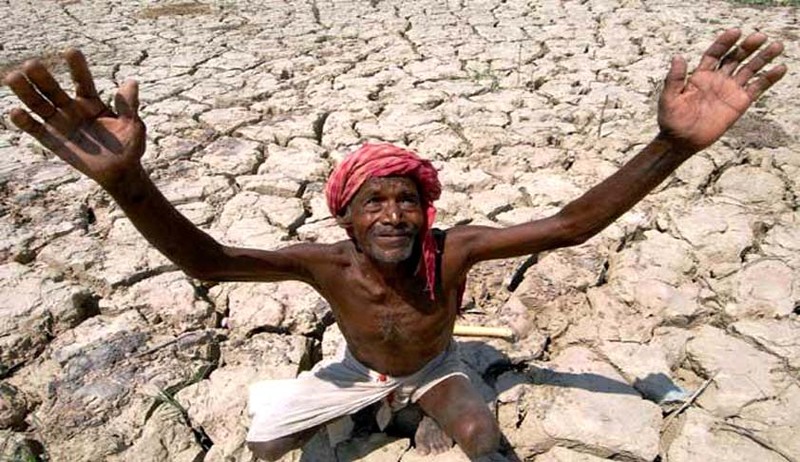 SwarajAbhiyan also contended that the ‘Crop Input Advance’ or the ‘Agricultural Input Subsidy’ offered by the Government of India is far too low and in the event of a drought, the monetary relief (compensation or ex gratia) received by a farmer does not even cover the cost of cultivation of crops. The petitioner also submitted that though a Fodder Bank has been established under the Centrally Sponsored Fodder and Feed Development Scheme and the National Mission for Protein Supplements for the areas notified as drought affected in 2012, the benefits under this Scheme and Mission have not been extended to all drought affected areas in the country for the year 2015-16 and 2016-17.